Kings themes has been purchased 35, rating: 4/5 based on 4 reviews. 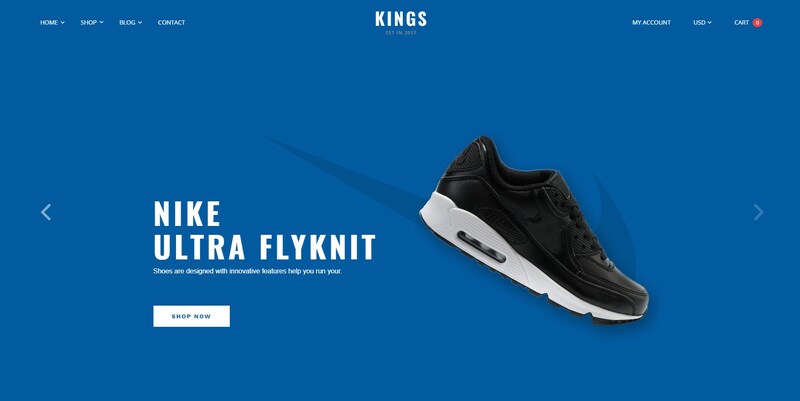 Kings is a modern and clean Shopify theme. This theme is compatible with any device and is suitable for a wide variety of stores such as sports, fashion, watches, apparel, furniture, etc. In addition, the King Shopify theme has flexible controls that allow shop owners to shop online efficiently. If you are looking for a perfect theme for your store that helps increase sales and improve website traffic, this is a good choice. Don’t miss a great chance, choose King Shopify theme for the online store now!